Onsite of January 2019 was the time of reunions, reunions with our beloved clients. Unicommerce organized a weeklong visit for Mumbai Sellers from 14th to 19th January 2019. The purpose of this was to revisit the bond we share with our clients. Unicommerce team received a warm welcome & much appreciation for the visits by the sellers. 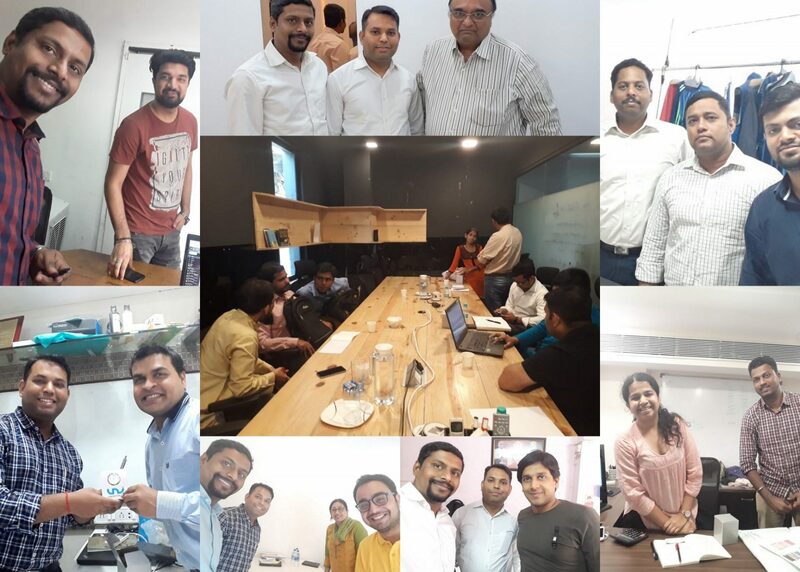 Unicommerce team reconnected with a lot of Mumbai clients to discuss about their experiences of using Unicommerce on daily basis and provided them an overview of the recently launched features of Unicommerce. The visits were followed by an interactive discussion with the clients. They were satisfied with the responses they got from the team. Besides this, Unicommerce also organized a special Uniware training and doubt clearing session at the end of the team’s stay at Mumbai on 19th January where we took over queries and issues raised by the sellers over usage of Uniware features. We were grateful and overwhelmed by the kind of response and warmth we have received during our stay at Mumbai! We must say that revisiting our existing sellers has been a great experience for us. We look forward to reaching out to you by organizing timely visits and Training sessions for Unicommerce Seller community across India.